Are you a fan of liquid lipstick? 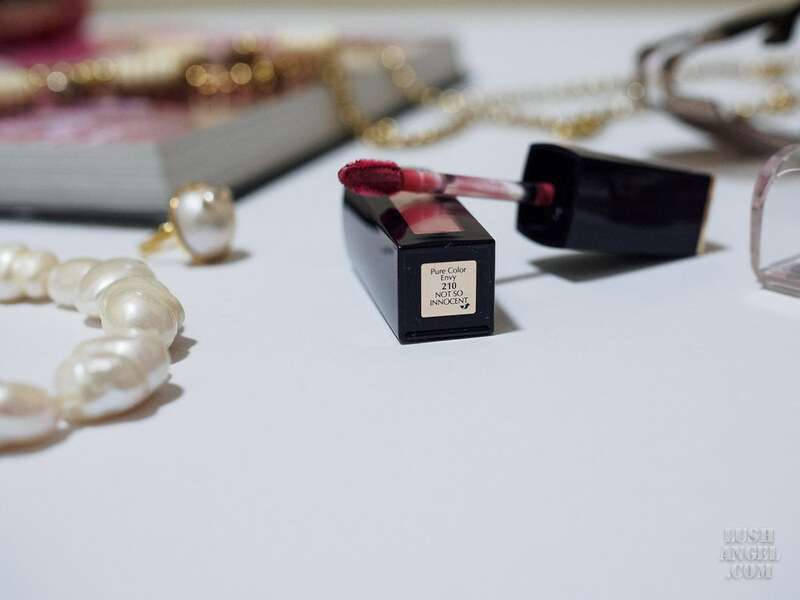 If you are, Estee Lauder has something for you that will surely tickle your fancy. 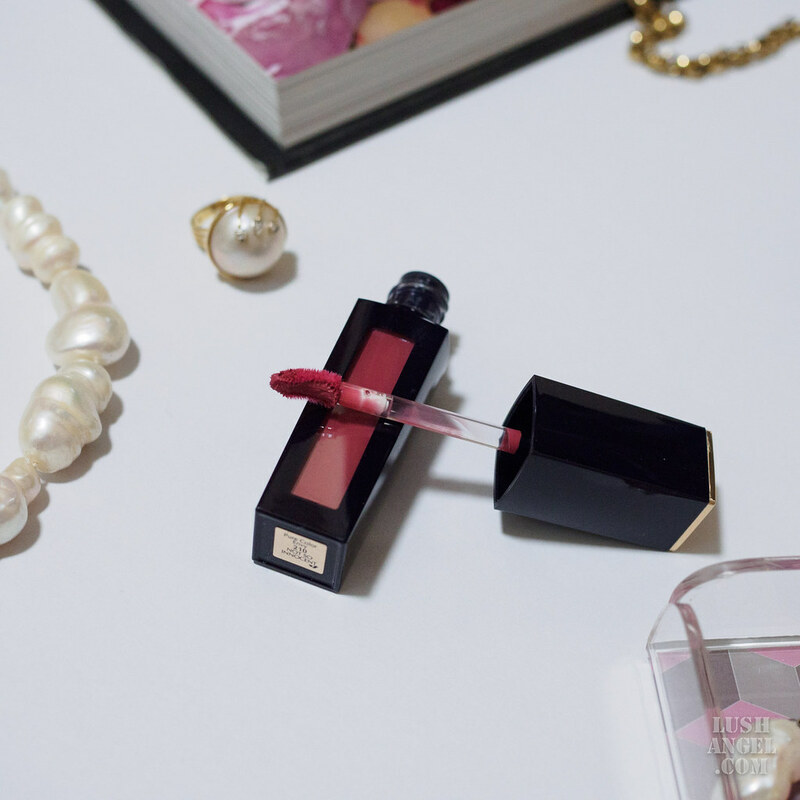 Estee Lauder Pure Color Envy Liquid Lip Potion is the latest innovation from the brand. It promises depth, dimension, and definition of lips – all in one stroke. 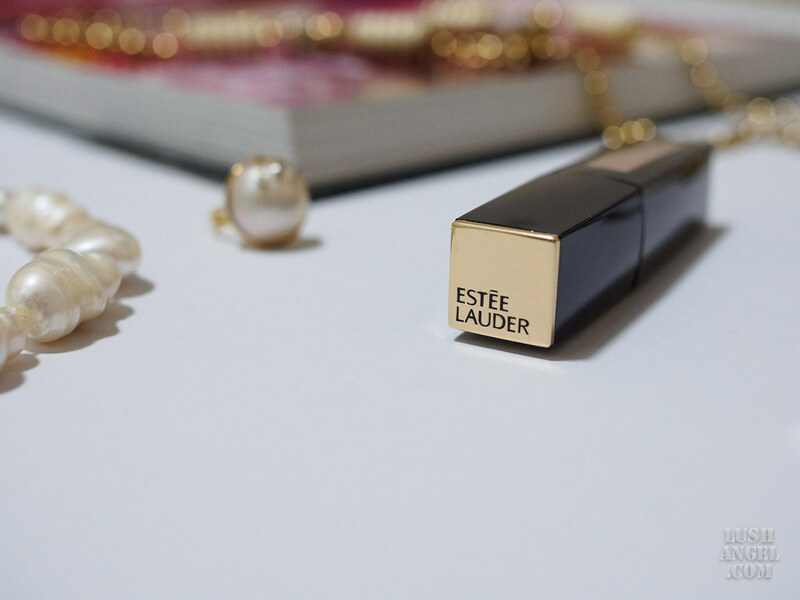 The Lip Potion is housed in Estee Lauder’s iconic navy and gold elongated silhouette with a rectangular window to show the shade. 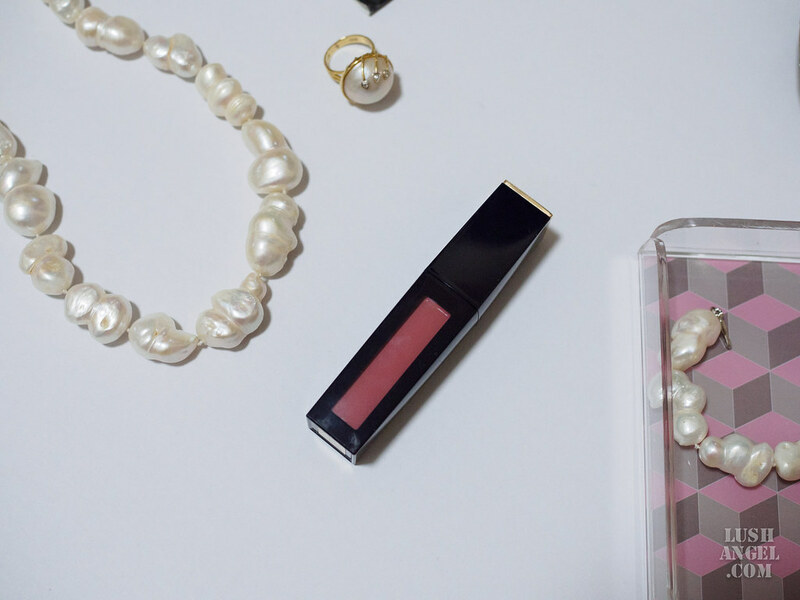 Estee Lauder Pure Color Envy Liquid Lip Potion has a creamy, moisture lightweight formula that glides onto lips with one uniform stroke of liquid color for a smooth, sculpted finish. The rich color makes the lips look fuller, more voluminous and curvaceous. Thanks to Estee Lauder’s Advanced True Vision Technology, which contains ‘Concentrated Liquid’ structural pigments. And if you’re wondering why it’s moisturizing, it has a unique Time Release Encapsulated Moisture Complex with Hyaluronic Acid, which boosts lips’ ability to attract, capture and seal-in continuous hydration. This complex also comprises of nourishing oils like Avocado Oil, Jojoba Oil and Sunflower Oil. It also has long-wearing properties. It says it could last for up to 8 hours, but for me, it lasts for about 4-5 hours (without eating) before it starts to fade. This isn’t bad at all for a liquid lipstick! It has a subtle fragrance of red currant, mandarin orange and apple blossom. For those who are sensitive to scent, don’t worry as it isn’t really bothersome. This curated collection has 12 shades. Kendall Jenner, fashion “It” girl and social media sensation, stars in the new Estee Lauder Pure Color Envy Lip Potion campaign. Who wouldn’t like a lip product that has the rich color intensity of a lipstick, the slip of a gloss, and the plush comfort of a lip balm? 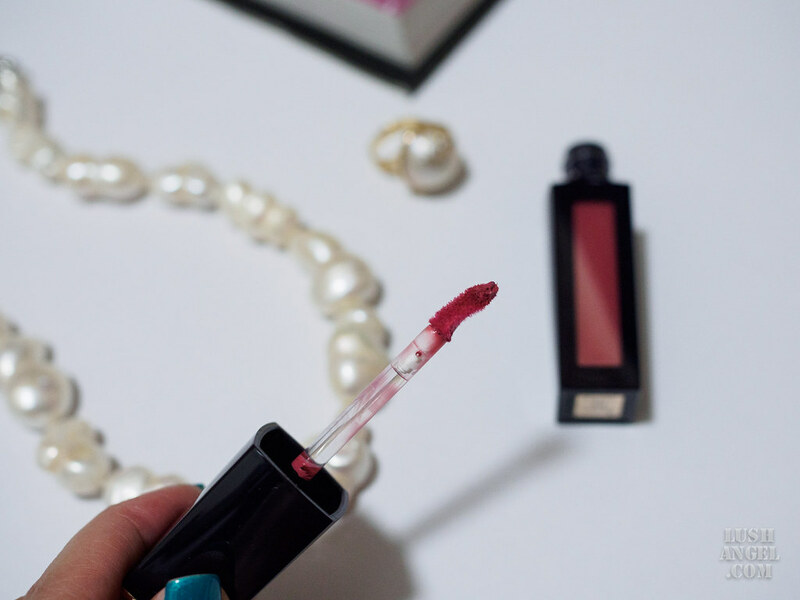 Estee Lauder Pure Color Envy Liquid Lip Potion got all that covered! Estee Lauder Pure Color Envy Liquid Lip Potion is priced at PHP 1,615 and is available at Estee Lauder Rustan’s Makati, Shangri-la, Alabang, Gateway, Cebu, Essenses Rockwell and SM Mall of Asia. P.S. 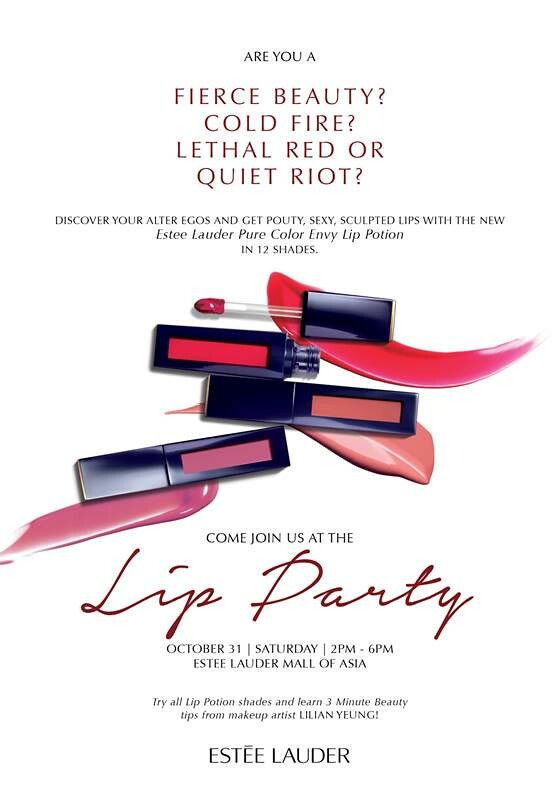 Estee Lauder Philippines is throwing a Lip Party on Saturday, October 31, 2015, and everyone’s invited! Try all the Lip Potion shades and learn 3 minute beauty tips from makeup artist Lilian Yeung at Estee Lauder, SM Mall of Asia. Lip Party is from 2pm – 6pm.